This book is an essential addition to the bookshelf of all enterprise architecture practitioners. This book provides vital information to help enterprise architects to realistically apply architecture modeling to their architecture engagements. 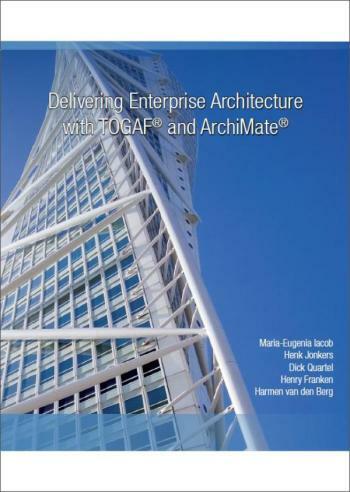 Mike Walker, www.mikethearchitect.com This book shows, in a practical and understandable way, how the two Enterprise Architecture standards of The Open Group, TOGAF and ArchiMate, can be used together to deliver Enterprise Architecture. This book will further encourage the use of these standards, and prove to be an invaluable source of inspiration for enterprise architects. Allen Brown - CEO, The Open Group This book answers questions of those considering enterprise architecture and provides a roadmap for establishing an enterprise architecture practice. The core of this handbook supports experienced practitioners. I warmly recommend you to read this book and learn about the merits of EA and ways to deliver it! Dr. Henry Franken The Open Group: Chair ArchiMate Forum Professional life: CEO BiZZdesign Inc.